Jackson, WI– Rytec has introduced AARC, its new Activation and Access Remote Control technology for use with its high-performance doors. AARC provides instant entry or exit access via remote Bluetooth or 3G technology. Now parking facilities and other commercial properties can provide efficient, affordable access for their customers, residents and visitors. Parking and property access is quick and convenient using any IOS or Android device. With AARC, no additional activation devices are required. App-based activation occurs within 50’ of door, with control managed and monitored through app-based, web-online and cloud-based access. Standard Bluetooth and wireless loop activation available, along with optional remote/encrypted key fob. Security is enhanced through selective access from an authorized user listing, to which users can be easily added or deleted. Management of long-term and short-term parking, fleet and warehouse operations now can be efficiently managed in real time by cellphone, online or cloud-based connectivity. 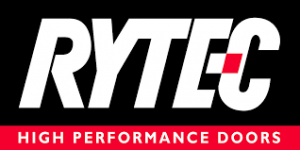 High-technology activation and access control for Rytec high-performance doors has never been easier.